The Nephilim were a race that came to dominate the antediluvian (pre-flood) world, and are referred to in the Bible as the heroes of old, men of renown. They were reportedly the children born to the "Sons of God" by the "daughters of men". It is also most important to note that they are mentioned almost simultaneous to God's statement that He would destroy the earth by flood, and it seems from this association that their effect upon mankind was one of the primary justifications that brought the destruction. "Nephilim" is rendered fallen, or possibly feller: a tyrant or bully. Several English translations rendered the word "giants", but of late translators seem to prefer to leave it untranslated. The "giants" translation may have come from the Greek old testament where "nephilim" was "gegantes" which looks like "giant" but in modern Greek would be "titans". In Greek mythos, the titans were the supernaturally powerful offspring of gods and humans. In Genesis 6 , where the global flood is described, it states that the Nephilim were also on the Earth afterward. Many therefore, assume that descriptions of giants in the Bible are references to Nephilim bloodlines. However, the only specific mention of Nephilim on the earth after the flood is part of the bad report from the spies in Numbers 13, a report that is called "bad" (or "evil") as in an unreliable source. The sons of God saw that the daughters of men were beautiful, and they married any of them they chose. Then the LORD said, "My Spirit will not contend with man forever, for he is mortal; his days will be a hundred and twenty years." The Nephilim were on the earth in those days—and also afterward—when the sons of God went to the daughters of men and had children by them. It is unclear what the Sons of God were, but they are distinguished from the daughters of men. The most obvious interpretation is that the Nephilim were a hybrid race between two distinct beings. Is there a government cover-up regarding UFOs and extraterrestrials in the United States, as many contend? If this is so; why? What are possible reasons for such a cover-up? Is it really “national security” or is that just an excuse? National Security or Power Mongering? So, if indeed the US government has been hiding the truth from its people regarding UFOs, and possible “secret” relations they might have established with extraterrestrials many years ago, or even ancient extraterrestrial artifacts found on the Moon and/or Mars, what kind of motives might they have for hiding such information? Theories abound, rumors and even a kind of modern UFO “lore” has grown up around this topic, and has found a comfortable home on the Internet, where it proliferates and constantly mutates. But how much of this UFO lore is fact and how much is fiction? The abbey of Orval is located at the edge of the woods of the Ardennes, in a beautiful valley of the former county of Chiny. The site has been inhabitated from time immemorial. The famous well of Orval must once have had a Gallo-Roman sanctuary, which was the origin from which the valley received its sacred character. The foundation stone for the new complex was laid in 1761, designed by the famous architect Laurent-Benoit Dewez. The church was consecrated in 1782. Almost two years to the day after the failed escape of the French royal family to Orval, on 23 June 1793, French troops bombarded both the old and new cloister, sacking the buildings and burning that which could burn. The entire estate was confiscated. When the French hurricane ravaged the abbey, many of the monks fled to Luxembourg. Some felt that Luxembourg was not far enough and sought refuge in far-off Russia. For a very long time, the villagers of Villers-devant-Orval recounted how they had heard how the monks had been caught burying various objects in the fields, often at night, before they disappeared from the monastery themselves.The poor farmers had always been impressed by the enormous buildings that made up the abbey. The only gold they ever saw, was when it shone in the hands of the monks. They were therefore convinced that what the monks were hiding at night, were their treasures, no doubt including the French crown jewels, the personal fortune of the Bourbons, the wages for the soldiers of General de Bouillé and the war chest that would finance the counter-revolution. After the escape of the royal family, Marat wrote that the abbey of Orval was “preparing a feast, sanctuary and company for the tiran”. The announcement could be read in the Moniteur dated 30 June 1791, five days after the return of the king to Paris. Which source had informed the newspapers? The only parties aware that Orval was prepared as a refuge of last resort were general de Bouillé, the royal couple themselves… and Nostradamus. The name Orval is mentioned in quatrain 20 of the ninth century, in the shape of an anagram (”vaultorte”) of the old manner of writing “Orvault”. Madame de Rambaud, who was a true mother for the dauphin, was the most important witness who recognised Naundorff in 1834 as the son of Louis XVI and Marie Antoinette. Agathe de Rambaud had become a widow at a very young age, after which she became the nanny of the dauphin, first at Versailles and later in the Tuileries. After she had protected the child with her own life during the most anxious days of the Revolution, she escaped from the Tuileries on 10 August 1792, while her “beloved dauphin” was taken to the Temple. Agathe de Rambaud survived the Terror, but she did lose all will to live. She refound that courage when she met Karl Wilhelm Naundorff. Amongst other things, he was able to provide her with details about a mantle the crown prince had worn briefly for a period when he was five years old. She became one of his closest followers. And why did this monsieur de Brémond believe Naundorff? Because he had told him about “a secret hiding place”! There is some uncertainty about the precise nature of this hiding place and whether or not it should be located in the Tuileries or elsewhere. Several unnecessary searches had been held, so Naundorff would not have been alone in being able to know such anecdotes. It also did not necessarily have to involve an iron chest or like. What evidence is there of the so-called Reptilian or Reptoid Aliens? How much weight can be given to this evidence, if any? Are they real? Are they hidden in the dark recesses of our nightmares, or in subterranean chambers within the Earth? Before these questions can be answered, it might be beneficial to classify or categorize the available data into different types. Similar to the three data groupings laid out by Richard Dolan in his UFO history writings, I’d divide UFO and ET related data into four discrete categories. Those people who have been avidly following the BBC TV series Merlin may have wondered about the wonderful set used to recreate Camelot. The series, starring Colin Morgan as the eponymous hero, Bradley James as Arthurand Anthony Head as Uther has been a smash it, both in the UK and overseas, notably in the US. 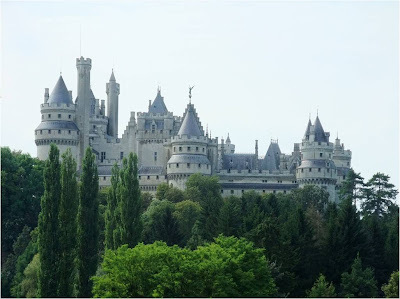 Many people believe that the Camelot seen in the TV series is an elaborate, expensive set. In fact, the place exists in reality. Situated North of Paris near the Forest of Compiègne, Château de Pierrefonds makes the perfect setting for the Camelot of the Arthurian legend re-imagined for the twenty first century. Saint-Bavo Cathedral in Ghent… where is kept the mysterious and coveted "Adoration of the Mystic Lamb" by Van Eyck. The cathedral of Saint-Bavo in Ghent is an important edifice of the “Gothique Brabançon”, the Gothic Style of the Belgian Region of Brabant. It was erected in the XIIIth century and completed during the following centuries. The 3 naves, choir, transept and chapels date back to 1550. The choir is in blue stone of Tournai and houses the tombs of several bishops in the crypt as well as many masterpieces like the statues of Saint-Peter and Saint-Paul by Karel Van Poucke. The vault was achieved in 1628. Inside, the opulent décor of the aisles belongs to the Renaissance. The tower of the façade is 89 m high and dates from 1462-1534. It has large sober porch, four storeys, the first one presenting a large Gothic window. The so-called lower church (transept and three naves) is in bricks and white stone (1533-1559) which is quite rare and unexpected. The cathedral was completed in 1569. The famous Ghent altarpiece “the Adoration of the Mystic Lamb” painted by Hubert Van Eyck and completed by his brother Jan in 1432 is displayed in the cathedral. It is one of the most valuable masterpieces of the Early Renaissance and a World’s Treasure. The panel called “The Just judges” was stolen in 1934 and never found since then. A copy was produced in 1945. Albert Camus described the facts in “La Chute”. In 1833, farmer Thomas Martin – who had strange visions about the French monarchy – once again went to Paris. He was convinced that Louis XVII, the son of Louis XVI and Marie Antoinette, beheaded during the French Revolution, was still alive. This man was the one and only true Crown Prince of France… Part One of a Naundorff Biography! “Shortly before the return of the orphan out of the Temple there will appear several impostors,” the voice of the Archangel Raphael had told the poor farmer (see also: Thomas Martin and the Archangel Raphael). And indeed, in one month, the police had arrested three pretenders to the throne. The number of people that claimed to be Louis XVII could no longer be recorded. One of them was a Prussian field marshal in Russian service, one a transvestite operating in Versailles, one a reverend from the United States. Many of them claimed that the pope had burnt a “sign of the Holy Spirit” on their thigh, and at least one of them lowered his trousers to reveal publicly the evidence in support of his claim. Some were pretenders even though they did not want to be, such as a child that was forced to act out the role of the dauphin. Several others had spent time in prison or had escaped from mental asylums. The fourth pretender to the throne of the month of August 1833 was in Paris. In the early morning of September 3, Thomas Martin arrived at the bookshop Bricon, where “the Prince” was lodging. “It’s him! It’s him!” the farmer yelled. Princess Marie-Thérèse of France was born the daughter of King Louis XVI and Queen Marie Antoinette. Together with her parents and her brother Louis XVII, she was imprisoned by the republicans in the Temple. Her half-sister Ernestine wasn’t imprisoned, though, and added her own puzzle to the French Revolution. Louis XVII would have been King of France after the beheading of his father Louis XVI but for the fact that France was a Republic at the time. He died while imprisoned in Paris; or maybe he didn’t. The case is puzzling to this day, and conflicting evidence is offered from any likely or unlikely source. While discussing the possibilities and impossibilities of exchanging Royal offspring in times of turmoil is amusing, it doesn’t bring you much further. What you accept as possible is your point of view. Looking at the usual suspects, though, might give you some new ideas as to whether it should have been done or not. What If Karl Wilhelm Naundorff Would Now be Accepted as Louis XVII? Karl Wilhelm Naundorff was the most successful of the claimants to Louis XVII identity. We know, he married and had children whose descendants are alive today. What would be the consequence if Naundorff’s identity as Louis XVII could be established without doubt? Since 1995, we have been exploring the mysteries of Sacred France. The journey has been a magical and transformational one through a world filled with magic and mysticism, and steeped in some of the most inspirational stories in human history. Over the years we have shared these mysteries with you through our books, Kathleen through the fiction of her Magdalene Line series and The Source of Miracles, and Philip through a number of non-fiction publications, all inspired by the powerful energies of the Languedoc. For years, people have been asking us to lead tours or retreats to the places which have inspired us the most. Now, more than ever, we feel the time is right to open the doors to “Our France” and share with those of like minds and hearts the elements that cause us both to call it our Spiritual Homeland. It has taken us over a year to design this, our first retreat, together. Kathleen has had experience with tours, and has interviewed others who have visited the Languedoc on tours in order to refine the retreat model and learn from the past. First, we found that the constant moving from location to location, hotel to hotel, can be exhausting for tour participants and contradicts the “retreat” environment that helps to truly assimilate the rich and powerful experiences. Instead, we have opted to stay in one location for a week, allowing for real relaxation. There will be plenty of moving around during day trips, and you will cover a lot of territory, but your time will be focused on having those experiences rather than packing and unpacking every day. We have adopted a lovely, privately run and very special hotel as our base – and leased the entire property, so it is solely ours for the duration of the retreat. Our goal for this retreat is to truly welcome all who attend into the warm and magical community that we have been blessed to be a part of in France for the past 15 years. From the moment you arrive, you are family. All of your meals, including wine with dinner, are included in the price – and we hand select most of the wines you will be offered based on local experts and our own preferences. We chose to do this so that you literally have nothing to worry about and can truly relax. We have a French chef at the hotel and will be visiting some of our favorite local restaurants along the way. Every location is chosen because it is truly special, filled with local flavor and has become a favorite in our years of visiting here. Please note that this is not a “tour” per se – it is a spiritual and historical journey, and we ask that everyone who chooses to attend arrives in the spirit of community and open-minded exploration. Experiences in this region can be very intense and transformational. They can also be just plain fun. Be prepared for anything. The region has a way of designing the journey for you – there is a reason that this land has been sacred ground for thousands of years! You will notice that there are a few places in the itinerary where it says: “if conditions allow” or “when possible”. This is because, unlike the USA, rural France does not operate on traditional schedules. The village woman who has the key to the church we want to visit may be called away on an emergency or something unforeseen. But know that we will take every precaution in advance to ensure our ability to see everything listed. But also know, if for some reason we cannot access something on the itinerary, we will find something equally wonderful to show you! There are so many gems in this region, it would take years to see them all! We are strictly limiting the number of attendees on this journey to ensure everyone’s maximum enjoyment. Kathleen McGowan – International bestselling author of The Magdalene Line series, including The Expected One and The Book of Love, both inspired by her own adventures and experiences in this region. Kathleen will take you to many of the locations in her current and future books. In fact, you will be observing her research processes as she prepares for a new historical novel on Cathar women. Philip Coppens – Author, investigative journalist and television personality, Philip has written many articles and non-fiction books, including a bestselling book on Rennes-le-Chateau (in French) and was the publisher, editor and/or adviser responsible for many other books on the mysteries of the region (including The Templar Revelation and Patrice Chaplin’s The Portal). He is an expert on the astonishing church of Notre-Dame-de-Marceille, which we will visit with his guidance. Isobel Denham – Activist and humanitarian, known throughout the region as “Isy”, she has been guiding pilgrims through Sacred France for many years and has a broad and inspiring understanding of the Cathar culture and the history of the Black Madonna. Her knowledge, warmth and generosity of spirit was such an inspiration to Kathleen that Isobel became the model for one of the characters – also named Isobel - in the bestselling The Book of Love. The “Maison Templière” in Belvianes is a unique place in the High Valley of the Aude, in the heart of Cathar Country. It is a converted water mill, sitting on the edge of the River Aude, just south of Quillan, and has beautiful gardens, fountains and fruit trees. The rooms are simple yet comfortable, entirely typical of this region of rural France. All rooms have private bathrooms. Because the hotel was created as a retreat center for pilgrims, there are no televisions to distract you in the rooms. “The Templar House” has a swimming pool and a restaurant that serves typically French traditional cuisine accompanied by international specialties, which you will taste during your stay. Wines – reds, whites and sparkling - from the excellent local vineyards will be served with the meals and during our celebrations! The property and village are rich with history and situated on the pilgrimage road to Santiago de Compostela. In fact, the local church is dedicated to St James. The village dates back to the 11th Century and was part of a Cathar settlement. We have the entire hotel to ourselves for the duration of our stay, so this will literally be our home. But if you want to stay longer, and explore the region either before or after the organized itinerary, then you are more than welcome to stay longer – ask, and we will arrange this for you. The hotel is privately owned by a community of healers who are committed to the energy of love, peace and tolerance – there are no borders between spirits! Thus the energy of the place itself is in total harmony with what the Cathars were teaching, making this a truly unique location. The Kings and Queens of France were buried under the Gothic vaults of this sumptuous basilica. The mausoleum of Louis XVI and Marie Antoinette appears here in the colorful atmosphere of stained glass windows. Situated within only a few kilometers North of Paris, the magnificent Gothic basilica of Saint Denis is closely linked to the history of French monarchy. Everything begins with the relics of Saint Denis and his companions Rustique and Eleuthere deposited in the abbey church in 630. The basilica was renovated and transformed through the centuries until the XIIIth century. The most important changes were made in 1140 by Abbot Suger, inaugurating the Gothic Style full of architectural innovations and quickly imitated in many churches and cathedrals at the same time. The stained glass windows let the « lux mirabilis » (the miraculous light) as Suger said, abundantly invade the nave, transepts and choir. King Saint Louis gave the church its final appearance and gothic harmony. From Nostradamus we knew beforehand that the Royal children would survive their imprisonment by the leaders of the republic, while their parents would face the guillotine. While the survival of Princess Marie Thérèse was due to Austrian diplomacy, her brother Louis was declared dead in 1795 by the powers that be. Many different stories about the escape of the young king can be found. If you really enjoy being confused, Wikipedia is the site for you. The stories in different languages diametrically contradict each other. Enough to say that there are different opinions; and there are many of those. The phallus of Osiris in Hollywood? Is it possible that the “phallus of Osiris”, the Egyptian Lord of the Underworld, is located under a hill in Hollywood? As outlandish as it may seem, truth might be stranger than any film producer could imagine! Some stories are weirder than anything Hollywood screenwriters could come up with. But then, facts are often stranger than fiction! How would you react if you were told that the phallus of the Egyptian god Osiris is possibly located underneath a buried pyramid in the very centre of Hollywood – Los Angeles? Doesn’t this sound like something from a movie? Well, it isn’t. The site where Osiris’ phallus is supposedly buried is known as the Hollywood Cross, which sits on a small hill next to Interstate 101, at Cahuenga. The site is notorious as the cross can clearly be seen from the 101, especially at night, when it is illuminated and sometimes – depending on visibility – seems to be suspended in mid air. From the Hollywood & Highland Center, with its viewing platform designed to give visitors a good view of the Hollywood sign, the sign is visible sitting to the lower left of this iconic view. So, how could a legendary Egyptian artefact ever end up underneath a completely naturally looking hill in the very heart of lala-land, correct? It seems absurd, impossible, as the Ancient Egyptians according to all historical accounts never made it to America, let alone the “far side” of America. But however illogical it seems, this was nevertheless the total conviction of one of the greatest astrologers of the 20th century, Linda Goodman, who spent a small fortune in trying to prove her case. Allegory of Louis XVIII raising France from its ruins. At home, Martin recounted the event to his brother. Next, he asked the local priest for advice. At first, the village shepherd was not convinced of the account, but when the apparition returned the following day and Martin began to relate stories which he could not possibly have concocted himself, the priest sent his parishioner to the bishop of Versailles.The visionary was met by the bishop in January 1816. He advised Martin to ask the stranger for his name and sent the reports of the priest to the Ministry of Police. Though the apparition returned and the messages became more precise – there was something afoot and there was even a new revolution on the cards – the stranger refused to reveal his identity. Instead, Martin was urged to make contact with the king. When the time was ready, the stranger would whisper certain information to him that would convince Louis XVIII he needed to heed the warnings of this simple farmer. In March, Martin was taken to Paris by a lieutenant of the gendarmes, where he was questioned three times. The last interrogation was held by minister Decazes himself. At the same time, the mental capacity of Martin was investigated by doctor Pinel, at the time a vested authority on the subject. “My spiritual guide has identified himself as the archangel Raphael,” Martin told the doctor. He supported his revelation by mentioning certain details about a notorious adversary of Louis XVIII, who had recently escaped from prison. Pinel judged that it was safer to move his patient to the nearby Charenton, where he could investigate the farmer with the help of some of his colleagues. In the home for the mentally disturbed, Martin received the visit of the head chaplain of the army, on March 29. It is likely that he gave a favourable report to the king, as on April 2, a cabriolet transported Martin to the palace, where the king received him that same day. The Voynich Manuscript is considered by scholars to be most interesting and mysterious document ever found. Written in the 15th or 16th century CE, it consists of approximately 240 vellum pages. Its content is mostly illustrations and its script, language and author remain unknown to this day. This image from the manuscript is thought to represent a cosmological design. The Voynich Manuscript is named after Wilfrid M. Voynich, a Polish-American antique bookseller who acquired it in 1912. Voynich discovered it in the villa Mondragone in Frascati, located near Rome, which was by then converted into a Jesuit College. It has been studied by countless experts, including professional and amateur cryptographers. During World Wars I and II, British and American code breakers examined the documents and came up with nothing. There are many stories of mysterious disappearance, but in my opinion, these three stories are the most intriguing and interesting. Edward V of England and Richard of Shrewsbury, 1st Duke of York, the two princes, the son of Edward IV were only 12 and 9 years old respectively when they disappeared after being held prisoner by their uncle Richard III of England in the Tower of London whilst Edward V was waiting for his coronation. The princes were never seen again shortly after Richard III claimed that Edward IV’s marriage was invalid and his children illegitimate. Some chronicles and notes taken at that time recorded the rumor that the sons of King Edward had had been put to silence in the Tower of London. This fact leads to many speculations of whether Richard III or his agents had killed the princes. Historians argued that the Tudor who also wanted to rise to the throne might have something to do with the execution of the princes. In 1674 during a demolition work in the White Tower, skeletons were found and thought to be the remains of the young king and his brother. Charles II ordered the skeletons to be reburied in Westminster Abbey. However, an examination held in 1933 of the surviving bones was inconclusive. DNA analysis or carbon dating on the bones is possible today, but unfortunately, the Abbey authorities have refused a second examination. Thus the fate of the two princes was still unknown to this date. This mystery have been the inspiration of many books, play and movies. If ancient aliens visited Earth, who were they, and where did they come from? Possible historic evidence and beliefs are examined around the world. 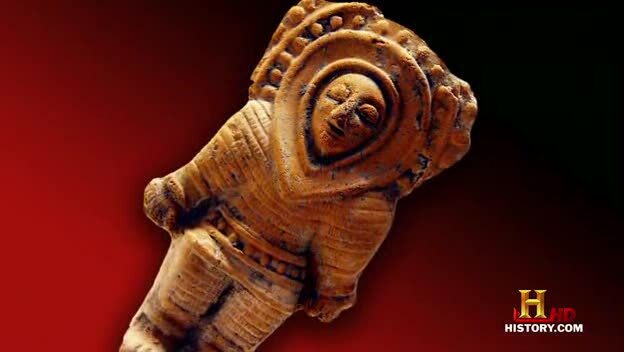 The Dogon people possess knowledge of a galaxy they claim was given to them by a star god named Amma. The Hopi and Zuni people celebrate Kachinas, gods from the sky, whose headdresses and costumes appear to resemble modern helmets and protective clothing. Halfway around the world, Chinese legends tell of the Han leader, Huangdi, arriving on Earth on a flying, yellow dragon. Was this dragon more likely a spacecraft? Ancient astronaut theorists believe that these are far from chance encounters and that extraterrestrials not only interacted with us, but changed the course of human history. Ancient alien theorists like Erich von Däniken believe that, thousands of years ago, extraterrestrials landed on Earth, where they were hailed as gods and helped shape human civilization. But what proof could possibly exist for such an encounter? Proponents of the theory point to two types of evidence: ancient religious texts and physical specimens such as cave drawings, stone sculptures and pyramids. Is your curiosity piqued? Here’s a quick introduction to some of the most famous examples. In this landmark special, NOVA takes viewers on a fascinating scientific journey that began 3,000 years ago and continues today. The film presents the latest archeological scholarship from the Holy Land to explore the beginnings of modern religion and the origins of the Hebrew Bible, also known as the Old Testament. This archeological detective story tackles some of the biggest questions in biblical studies: Where did the ancient Israelites come from? Who wrote the Bible, when, and why? How did the worship of one God—the foundation of modern Judaism, Christianity, and Islam—emerge? "'The Bible's Buried Secrets' is both a scientific detective story and dramatic adventure that digs deeply into the Bible and the history of the ancient Israelites through the archeological artifacts they left behind," said Paula S. Apsell, NOVA Senior Executive Producer. 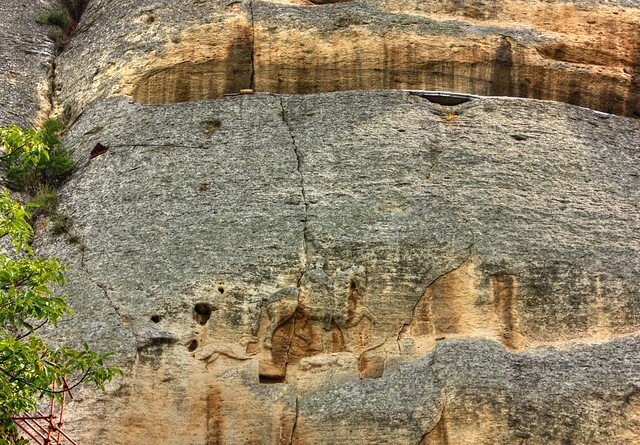 NOVA travels to several excavations of ancient cities in the Near East, filming newly discovered remains and interviewing leading archeologists and biblical scholars. These in-depth interviews—along with historic works of art, ancient artifacts, animations of biblical passages and scenes, and dramatic recreations—provide the latest account of the ancient Israelites and how they found their one God, the God not only of modern Judaism, but also of Christianity and Islam. Around Nancy in Lorraine, let us discover the homeland of Joan of Arc where her heroic epos began. Domrémy was a border town in the Middle-Ages, surrounded by ramparts. As it became a “Royal Town” in 1365, it was governed in the name of the King of France by the Lord Robert de Baudricourt. This is when Joan of Arc, a young peasant aged 16, came and talked to this governor on May 13, 1428 and stated she was the only person capable of delivering France from the British. Baudricourt just laughed and ordered the young girl be taken back to his father “with a good slap in her face”. China has been experiencing a new wave of U.F.O sightings. Among recent sightings as of July a photography student said, that the U.F.O.s were flat and tubular. According to the Epoch Times, these sightings are predicted to be on the upswing. I wonder how on earth, that they could make such claims, unless apparently the idea is there will be copycat sightings, or of course the theory, that Wang Sichao a researcher of these anomalies claims a pattern. The pattern being U.F.O’s appearing in years ending with 1 ,2, and 7. Did you hear the rumors that the United Nations appointed Malaysian astrophysicist Mazlan Othman to be the “Official Alien First Contact Spokesperson”? The peasant girl who heard the voice of God, who roused a spineless prince and a cowed people, and freed her country from the conqueror’s yoke: that was Joan of Arc. The entire world knows her story, for Joan is one of world’s heroines; but the tale of Joan is one that is always worth the re-telling and here in this gallery of great lives, her example of faith and courage glows afresh in a brilliant setting. 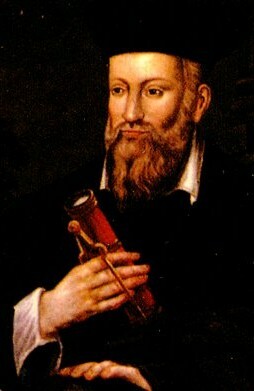 Nostradamus, Man of Prophecies or Politics? Click on the title and go straight away to Nostradamus, Man of Prophecies or Politics?